Hohenneuffen Castle is a large ruined castle in the northern foothills of the Swabian Alb. 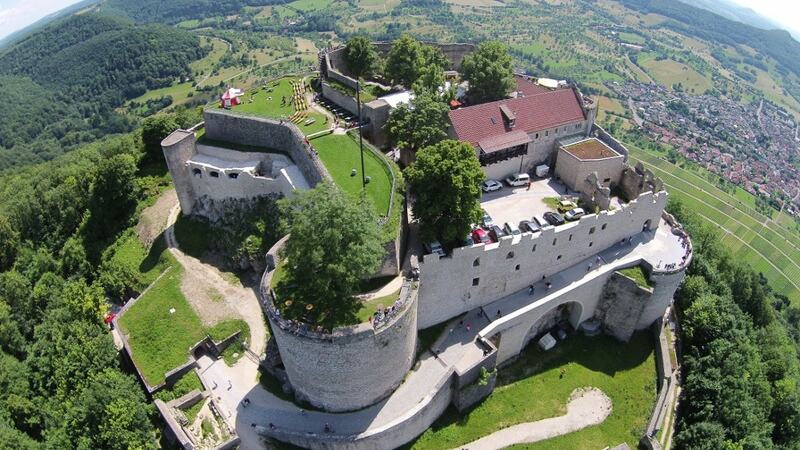 The medieval castle is situated on a large late Jurassic rock, at an elevation of 743 m (2437 ft) in a strategically advantageous location on the slopes of the mountain range. Today, access to Hohenneuffen Castle is free for the public and some of the casemates are accessible. There is also a restaurant, beer garden and a kiosk. Furthermore, the castle is also used for concerts and a medieval-style market.